Wolfsburg (03 July 2015). 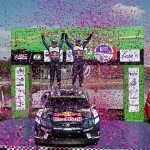 Fearless and fast- very fast: Volkswagen ended the opening day of the flat-out fiesta that is the Rally Poland in first, second and third place. After 155.04 of 313.53 kilometres against the clock, Sébastien Ogier/Julien Ingrassia (F/F), Andreas Mikkelsen/Ola Fløene (N/N) and Jari-Matti Latvala/Miikka Anttila (FIN/FIN) are separated by just 10.8 seconds – the equivalent of 359.13 metres. And at an average speed of just under 120 km/h, requiring the drivers to show absolute determination and the utmost faith in their car. All three Volkswagen duos contributed to an excellent team performance – each adding stage wins to the Polo R WRC record book. In total, five of nine possible stage wins went to the Wolfsburg-based manufacturer. For long periods of the opening day’s rallying, Ogier, Mikkelsen and Latvala have been embroiled in a thrilling battle for the lead with Ott Tanak/Raigo Mölder (EST/EST, M-Sport Ford). He remains the Volkswagen trio’s closest rival, trailing them by 5.9 seconds ahead of the remaining ten special stages on Saturday and Sunday. The Friday was “typical Rally Poland”: plenty of flat-out sections on country lanes and rural roads, as well as the odd section through forests and towns with handpicked junctions, provided the expected high-speed thrills. With an average speed of 131.09 km/h, Friday’s first special stage – “Gorklo” – was the fastest stage of the 2015 WRC season, and was not far off being the fastest stage in recent WRC history. That came at the same event last year: back then, an average speed of 136.88 kilometres per hour was clocked on the “Wieliczki” special stage. This year’s competitors will tackle a slightly modified version of the same stage on Saturday. … a rally anniversary for Jari-Matti Latvala. 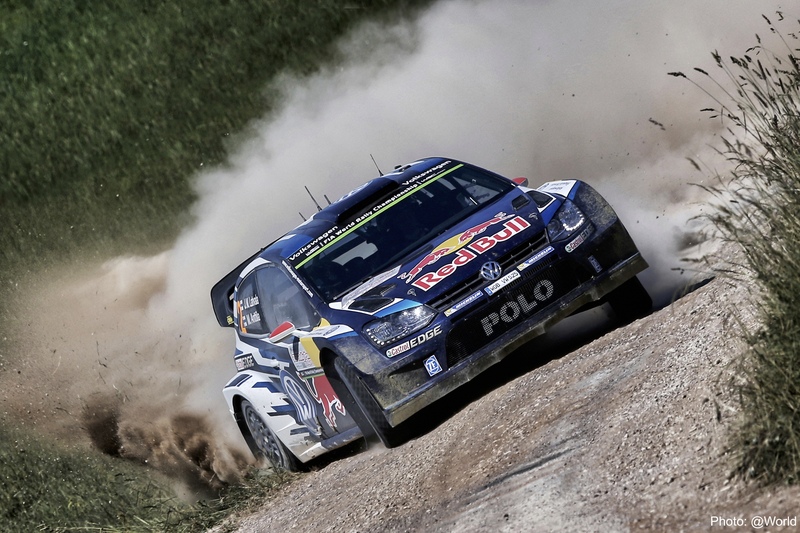 “JML” is making his 150th appearance in the World Rally Championship at the Rally Poland. 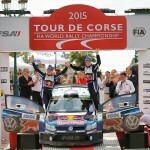 Looking back: Latvala has climbed onto the podium on 48 occasions, 17 of which were in Volkswagen colours. The Finn has won 13 rallies. Looking ahead: he has the opportunity at the Rally Poland to achieve his 400th stage win. At the moment, he is just three short of that milestone.